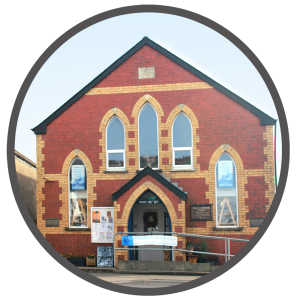 Giles Gallery is an award winning arts & crafts gallery situated in the heart of its community. 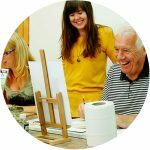 Exhibiting & promoting local creative talent, Giles Gallery offers original arts & crafts, gifts & cards, bespoke framing, art supplies, experienced advice & creative workshops. 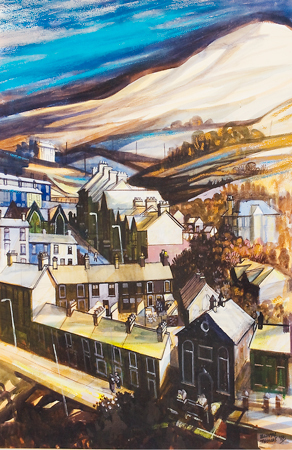 With solo and group exhibitions booked and planned as far as 2020, the calendar promises to be a varied and exciting one! 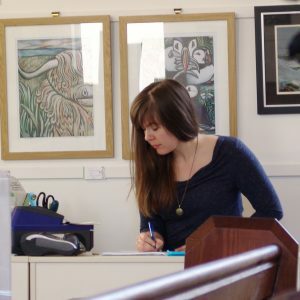 Regularly, artists and crafts persons from outside the gallery come to offer classes and workshops. 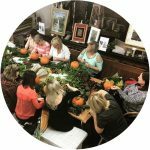 Calligraphy, floristry, wire work and stained glass, to list but a few of the skills on offer to learn and try. 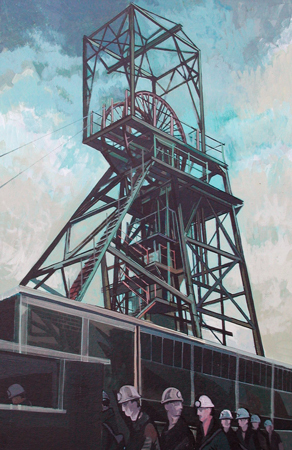 Details of upcoming exhibitions & courses can be found here. 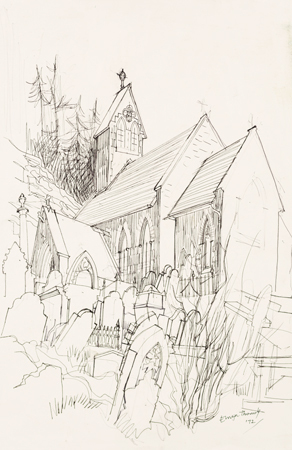 There will be an exhibition of Elwyn’s work including unseen sketchbooks and paintings from his own collection, with the invite and blessing of his Niece, Rowena, we both invite you to come and celebrate The life of Elwyn ‘Art’ Thomas. 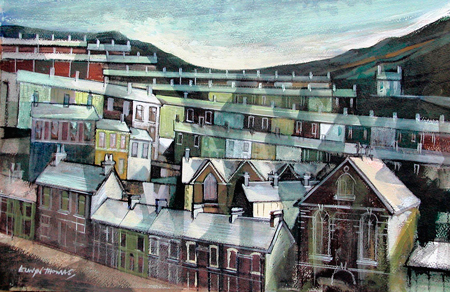 We at Giles Gallery are sad to have lost a friend and talented inspiration, not just us but for so many Rhondda artists. 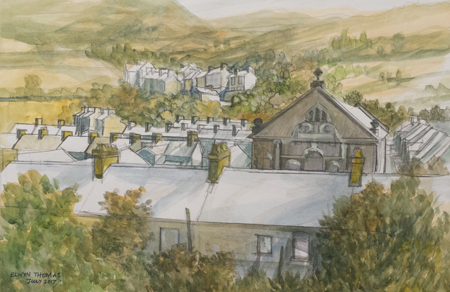 Friday the 5th April from 10 am – 5 pm will be the preview launch of our posthumous exhibition. 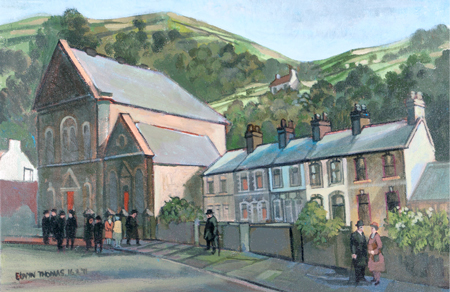 We invite all friends and colleagues, admirers and fans of Elwyn and his work to join us as we remember the talented Rhondda artist, our humorous storyteller, a gentleman, our friend. 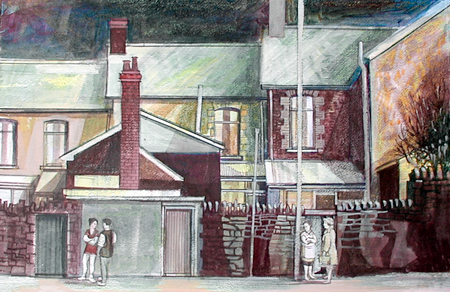 Accompanied viewings of unseen sketchbooks and draft work available on request. 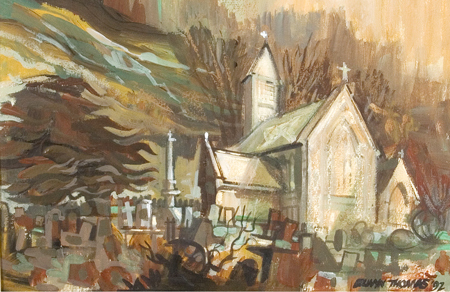 Guest book gratefully offered for you to enter your memories or admiration for Elwyn and his Paintings. 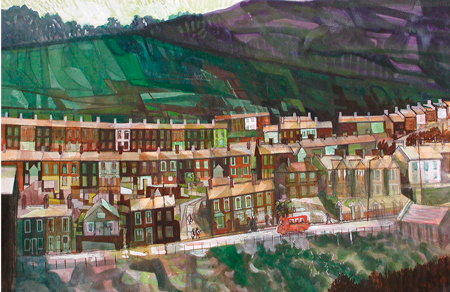 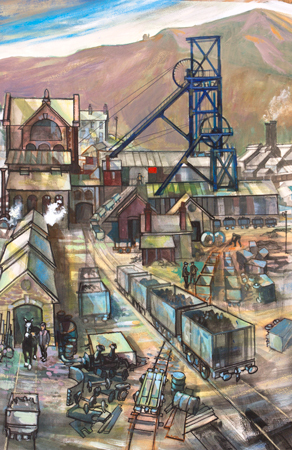 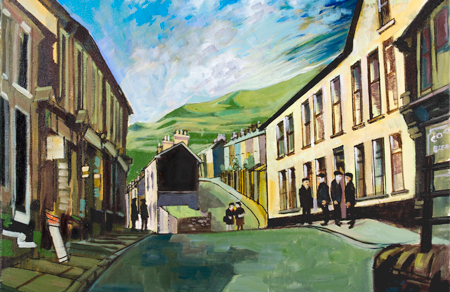 Giles Gallery is proud to be the official representative and print supplier of, Rhondda artist, Elwyn Thomas. 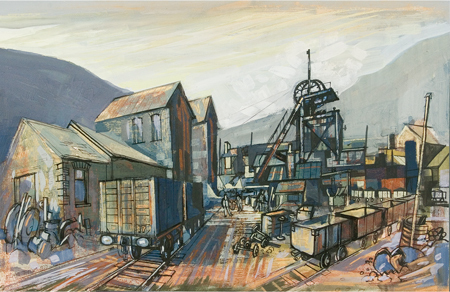 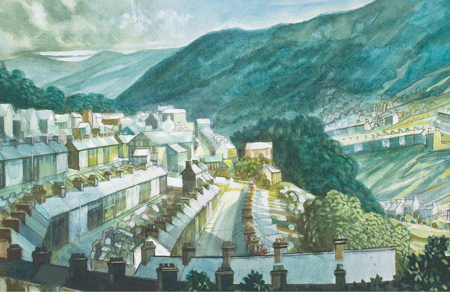 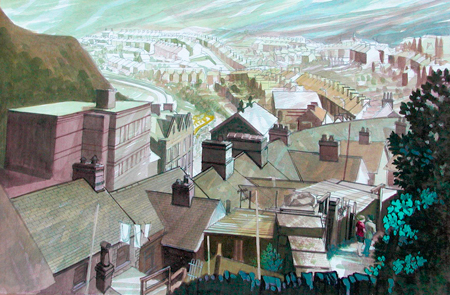 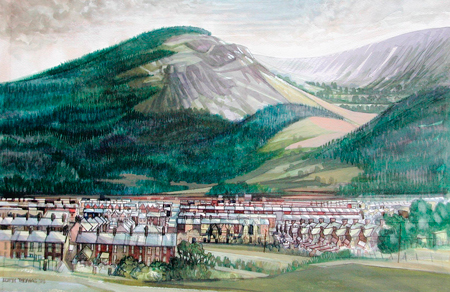 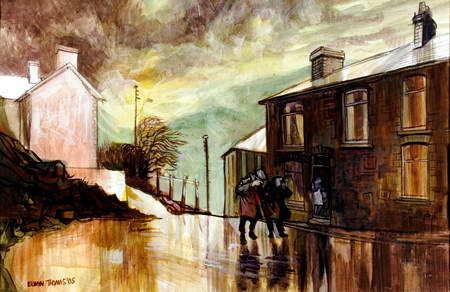 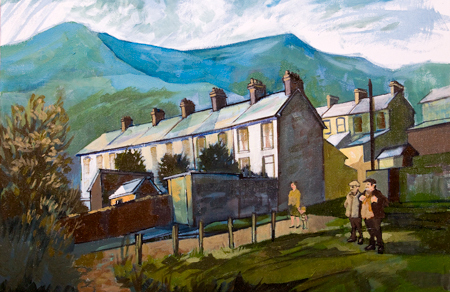 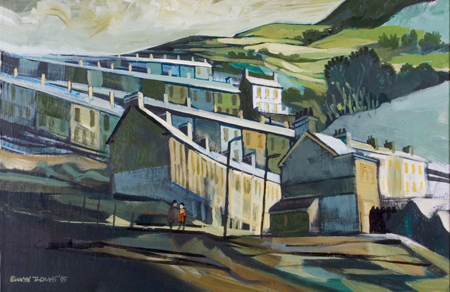 Elwyn’s work is, almost exclusively, themed around the Rhondda Valleys, often the Rhondda Fach and the areas in which he was born and raised. 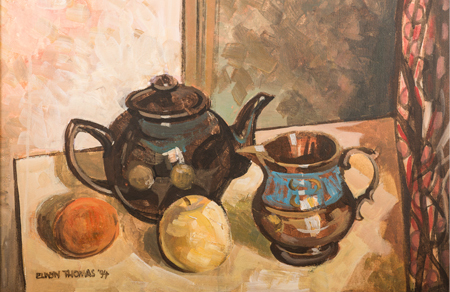 Elwyn is known by many as an art teacher from his time working at schools such as Ferndale Grammar and later Ferndale Comprehensive. 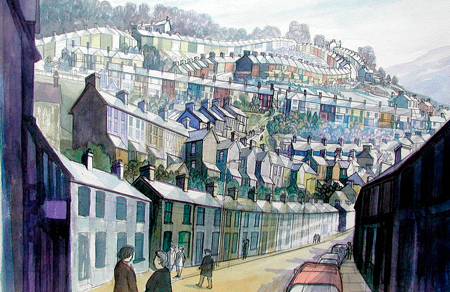 After retiring in 1987, Elwyn took up painting full-time and continues to enjoy acclaim and success. 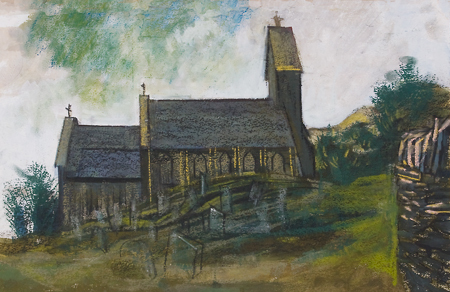 Giles Gallery is currently developing an online portfolio of a wide range of Elwyn’s work, including sketches, etchings and previously unseen works. 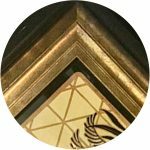 The site will provide collectors and fans with the opportunity to purchase prints directly. Until then we have put together a small selection of works currently available as 12×8 inch prints (mounted for 16×12 inch frames) which cost £42 (excluding postage). 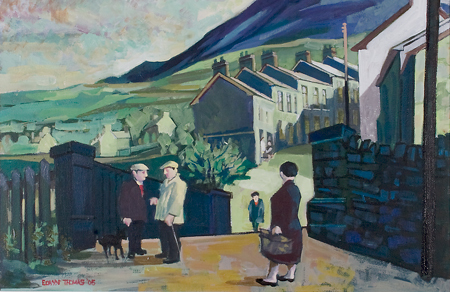 To purchase, please contact the gallery. 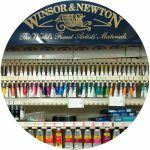 Subscribe to our newsletter to receive details on our upcoming events, classes and exhibitions.